Our Leah lightweight V neck jumper is perfect with a shirt underneath. 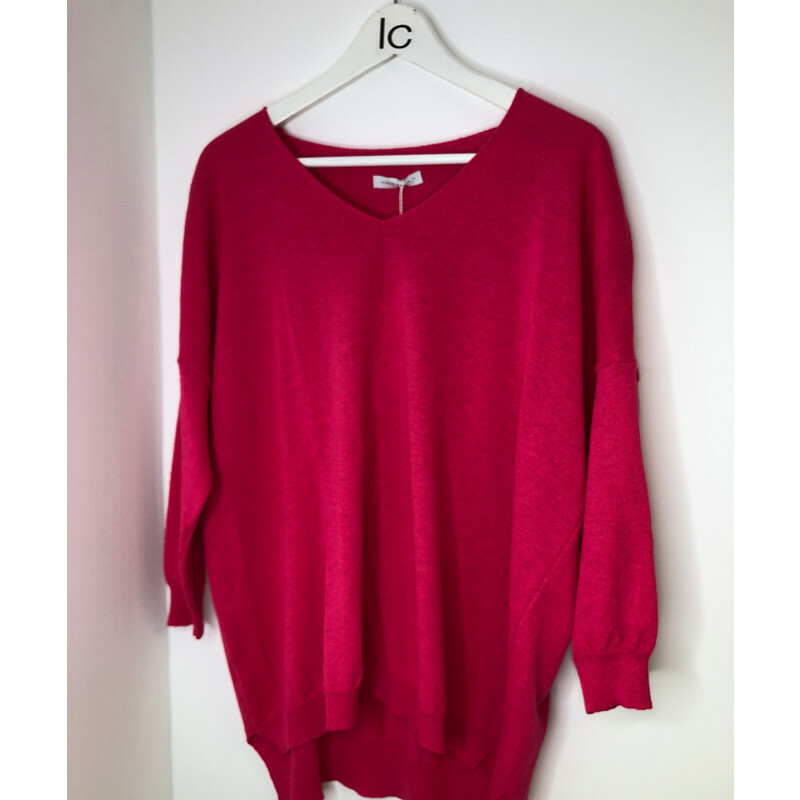 It is a long sleeved lightweight jumper with ribbed cuffs and hem. Down the front there is a line to add extra detail.